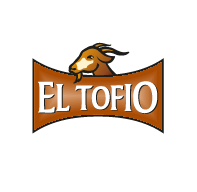 Ingredients: Whole pasteurised Majorero goat’s milk, rennet, milk enzymes, salt, paprika and oil. Ingredients: Whole pasteurised goat’s milk, rennet, milk enzymes and salt. Medium ripe goat’s cheese rolled in paprika. Ingredients: Whole pasteurised cow’s milk (minimum 70%), whole pasteurised goat’s milk (minimum 30%), rennet, milk enzymes, salt and paprika. The P.D.O. 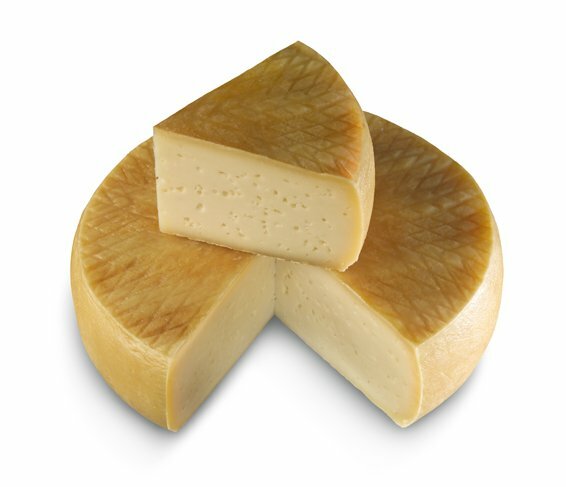 Palmero cheese is hand-produced exclusively on the island of La Palma using raw milk from the native Palmera goat. It is traditionally smoked using wood and pine cones, dried prickly pears or almond shells. Cylinder-shaped, its weight varies between 0.75 and 15 kg, it being the largest cheese in Spain. Odour: Milky and sour aroma. Flavour: Characteristic goat’s milk flavour with notes of butter, hay and natural kid goat rennet, completed with faint smoky hints produced by the burning of ground pine, prickly pear and almond shells. Slightly sour flavour with pleasant sharp notes. Texture: A compact cheese riddled with small eyes and floury. Rind: Natural or slightly smoked rind with small squares imprinted on its top and bottom surfaces. Ripening: between 20 and 60 days. Shelf life: 9 months from packaging. Of all the cheeses from the island of Gran Canaria, Flor cheese stands out thanks to its uniqueness. This uniqueness is due to coagulation, which uses vegetable rennet only. Use of the thistle flower as a coagulant gives it very different characteristics in terms of texture and flavour than any other Canary Island cheese. Cylinder-shaped, with a weight of around 3.5 kg, it is completely hand-produced using raw milk. Odour: Middle and later stages of maturity is well-developed and milky with complex raw milk and floral notes, reminiscent of cardoon flowers and nuts. Flavour: Sour, bitter and well flavoured. Colour: The colour of the rind evolves to become dark brown, taking on the imprint of the shelves on which it is aged. Dull ivory-white. Texture: Cream-coloured in appearance with a very soft consistency, it is dense on cutting and very creamy in texture. Rind: Natural, smooth, thin, elastic and soft. Ripening: between 15 and 60 days. Clasification: Made from a mixture of raw cow’s, sheep’s and goat’s milk in different proportions, vegetable rennet and salt. Of all the cheeses from the island of Gran Canaria, Media Flor cheese stands out thanks to its uniqueness. This uniqueness is due to coagulation, which uses a blend of animal and vegetable rennet. 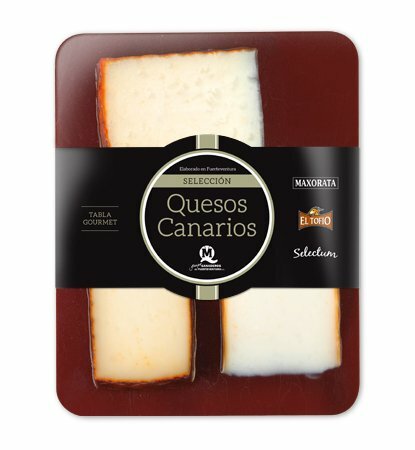 Use of the thistle flower as a coagulant gives it very different characteristics in terms of texture and flavour than any other Canary Island cheese. Cylinder-shaped, with a weight of around 3.5 kg, it is completely hand-produced using raw milk. 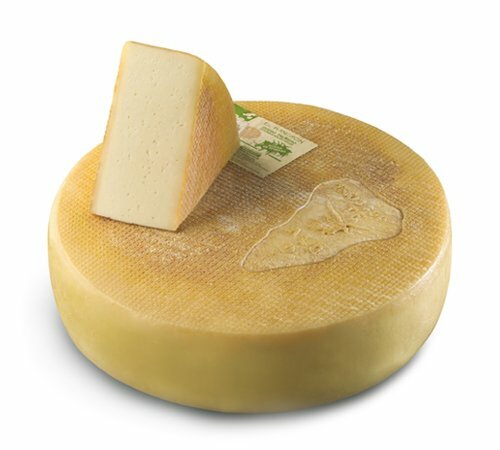 Odour: Milky, creamy, intense, well-developed and complex in flavour with slightly bitter notes resulting from the use of vegetable rennet. Flavour: The aroma in its middle and later stages of maturity is well-developed and milky with complex raw milk and floral notes, reminiscent of cardoon flowers and nuts. Texture: White, ivory or yellow in colour depending on its stage of maturity, dense on cutting and creamy in texture. Rind: Natural smooth rind with a waxy appearance. The colour of the rind evolves from yellowy-ochre to varying tones of dark amber, taking on the imprint of the shelves on which it is aged. Clasification: P.D.O. Goat’s cheese, mature, fatty, enzyme coagulated, pressed and uncooked.